Born in New York City in 1951, Charles' body of work is an extension of his social / professional life which in his early years he lived and studied in Europe. This euro-American eclectic exposure to life and contemporary art provided him with a rich palette in which to produce the works he exhibits today. Charles has exhibited in Switzerland, Greece and the United States. 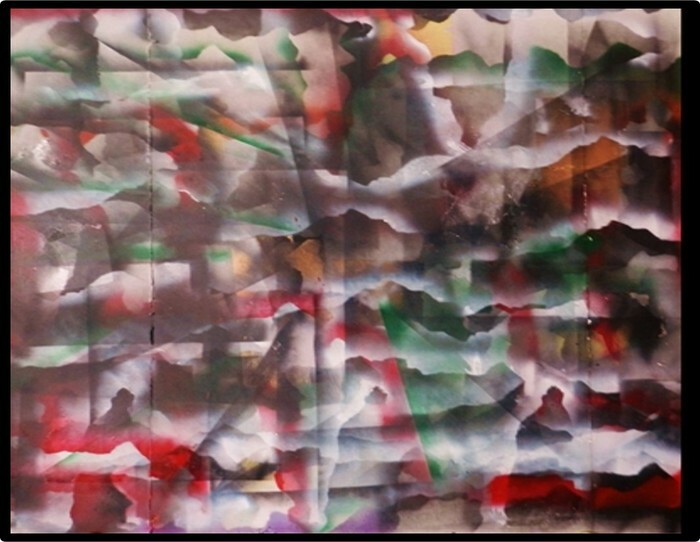 His work is characterized as dynamic, intense, and perennial. Each image depicts metaphysical and/or surreal imagery which are personal to him, yet undeniably extricate individual emotions, messages, and senses from the viewer. 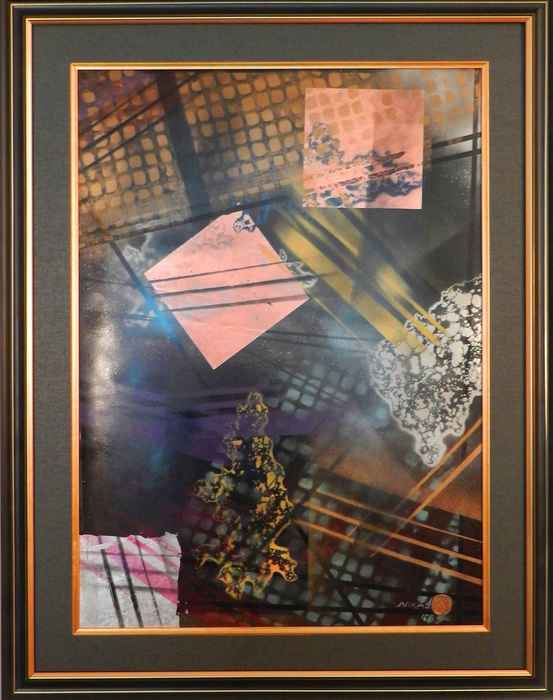 By the mid-80s’ thru the 90s’, Charles turned toward visual enigmas, by introducing the medium of 'collage' to his portfolio. This new style coupled with his draftsman's line, created quasi-surrealistic images which disturbed and provoked the viewer. Again, he applies himself to perceive time and space in thought and rational experience, as man transcends his own dimensional plane. “Each viewer must contemplate his work in the rational, and unlock the cryptic message of the 'unconscious' versus the 'conscious'. New York artist Charles Nikas creates dream-like yet compelling abstract expressionistic works. 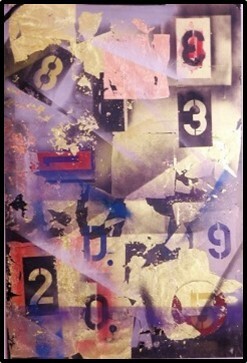 His color saturated images are composed using a variety of mediums including acrylic paint and spray, silver, gold and copper leaf, printers ink and file transparencies -.all expertly arrange on paper, glass, canvass and polyethylene construction board. Nikas spent his early years abroad in Europe, giving him a large degree of cultural exposure that has served as a catalyst in the evolution of his work as it stands today. Nikas’ art is dynamic and intense, as rich in palette as it is in energetic rendering, Infused with complex images and layers of meaning the work is meant to ignite an intimate response in the viewer, both on a mental and emotional platform. 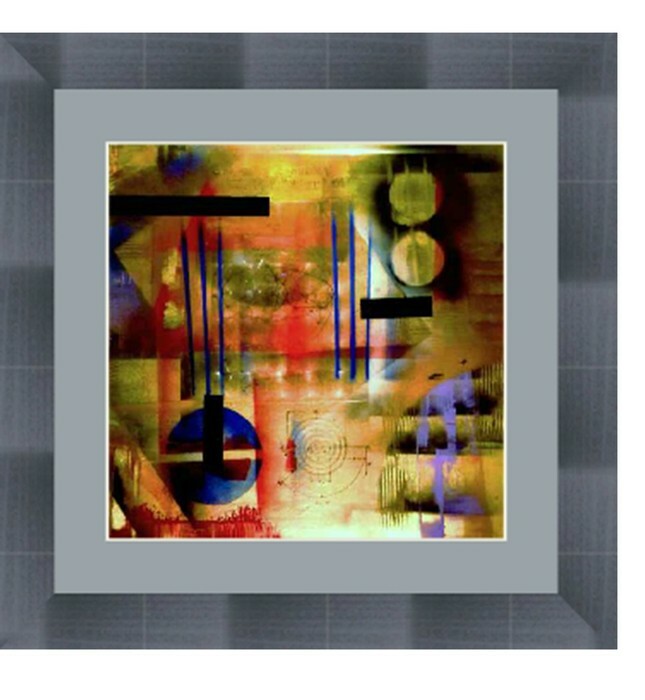 As he explains, “Ech image depicts metaphysical forces, yet undeniably, extricates individual emotions, messages, and imagery from the viewer.' What results are unforgettable pieces that transcend context to reflect the intricate and multifaceted realities of human existence on the very level of the soul. 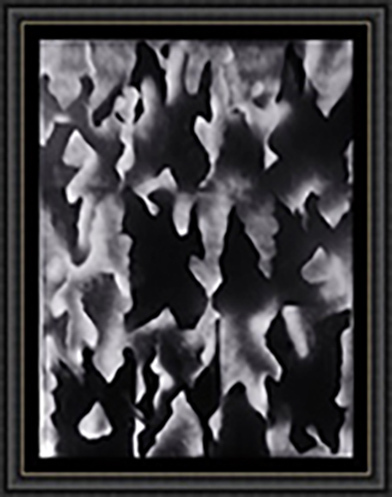 Symbolistic Abstract: Black & White Acrylic Spray on Polyurethane Corrugated Black Board. Work depicts the early stages of planet creation: Solid, liquid and gaseous and matter in flux. 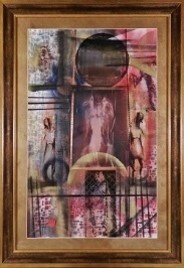 Framed 45" x 35" Price $3K. Abstract. Acrylic paint and spray chart and Chart and Mesh Tape, Gold leaf on Glass. 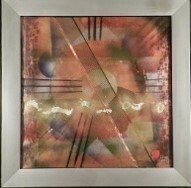 Framed over in glass 30: x 36". Price 1.5K. 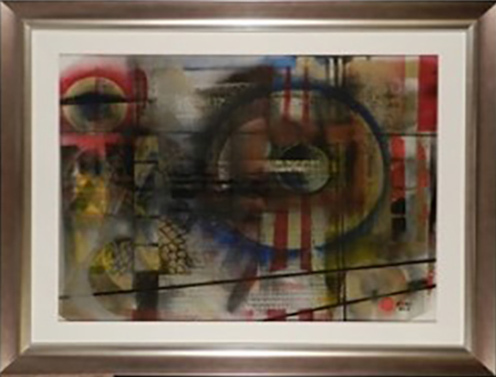 This work depicts the inter geometric imagery of a Virus Strain which for the most part humans are exposed to on a daily basis. There is gold and silver leaf used to highlight the luminous and vile world of these parasites.